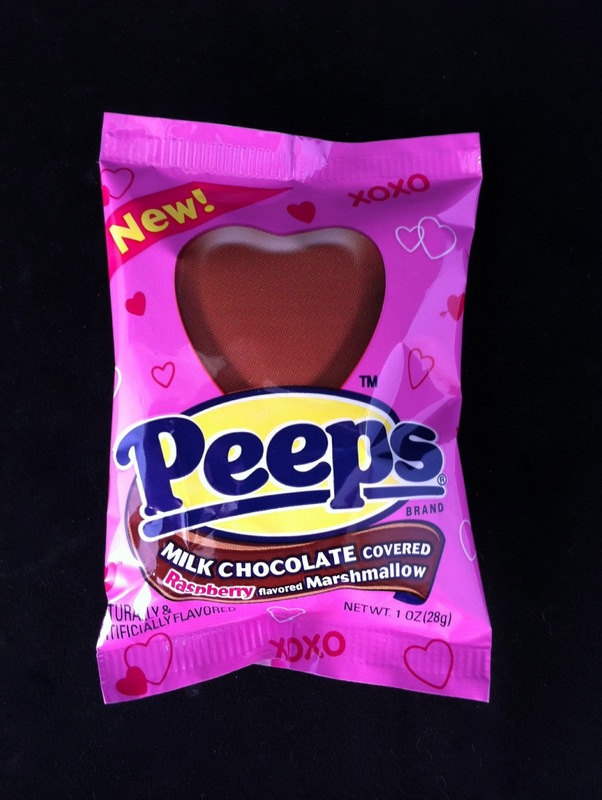 These Peeps Milk Chocolate covered Raspberry Flavored Marshmallow Hearts are surprisingly delightful! As mentioned in a previous post, the Stawberry Creme flavored Peeps Hearts were a major disappointment and I expected the Raspberry to maintain the same level of artificial berry flavor. But no! This raspberry is far more mellow and blends with the actual flavor of the marshmallow far more thoroughly. In addition, the exterior chocolate layer blends really naturally with the marshmallow and the 2 to 3 bite chocolate covered marshmallow constitutes such an ideal treat. One variation that might also be good: a Peeps marshmallow covered with the classic sugar layer and then covered in chocolate. The sugar would add a really satisfying crunch.